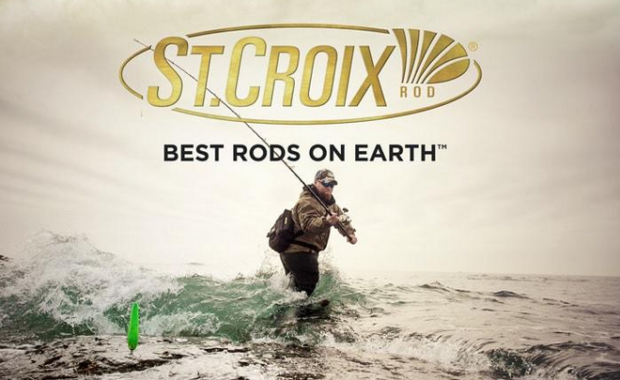 Paul Schluter, the CEO of St. Croix Rod, has announced that he will be stepping aside from his current role sometime this year. This means that the Park Falls, Wisconsin based company is currently undergoing an internal and external search for someone to step into the role of CEO. According to Paul, who has been with the company since his father hired in back in 1983 to manage retailer accounts in Minnesota, this doesn’t mean that he is retiring. While he will be handing over the duties for the daily operations at the company to the new CEO, Paul will still be involved with the aspects of the business that he loves best. Quality company manufacturing right here in the United States. He will also continue to serve as a member of the St. Croix Board of Directors. St. Croix has been owned by the Schluter family for more than half of its 70 years in business, which is a tradition that continues to this day. Both of Paul’s brothers, as well as his sister, are on the Board of Directors and the company has adopted a Balanced Scorecard approach that they will be using to operationalize and measure company performance. Paul is especially proud of the fact that St. Croix has completely controlled the rod manufacturing process from day and does not source their rods from overseas contractors or reverse-engineer any rods. The company owns and operates their own state-of-the-art facilities and have the capabilities to engineer and handcraft a number of different rods.